As one of the only US breweries owned and operated by a ski area, we are dedicated to mountain enthusiasts of all kinds. 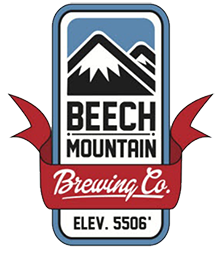 Our unique brewery is nestled in the village of Beech Mountain Resort which offers skiing, snowboarding, snow tubing, ice skating, mountain biking, disc golf & many other activities throughout the seasons. Our brewery provides the perfect atmosphere to relax after a long day of your favorite mountain activity. A bi-level facility with a large fireplace and hardwood flooring throughout, Beech Mountain Brewing Co. is accessible for all visitors. You do not have to participate in resort activities to visit, we are open to the general public. Come hang with us Thursday through Sunday to try our Brewer’s latest creation or enjoy a flight of all that we have to offer!